That is so true! I had to go inside because of this! 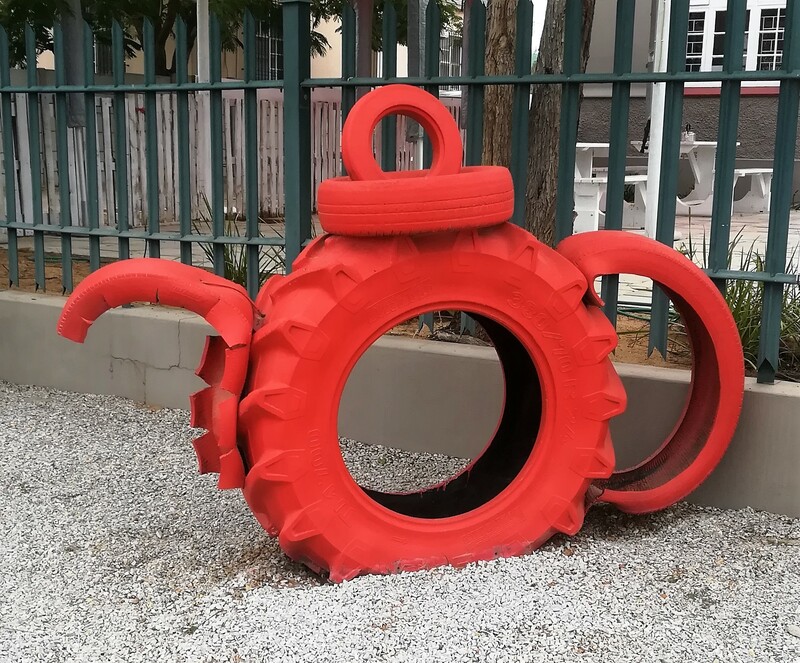 What a good idea to make it into a teapot and cover it with red – have you been into the tea shop that has this ? Yes I have been inside and bought lovely herbal tea there, Rooibos tea, meaning “red bush”; is a broom-like member of the Fabaceae family of plants growing in South Africa’s fynbos. The leaves are used to make a herbal tea that is called by the names: rooibos, bush tea, or redbush tea. That’s a red teapot! Cool!